Beautiful typography is eye-catching and can really make a business card stand out from all the rest. 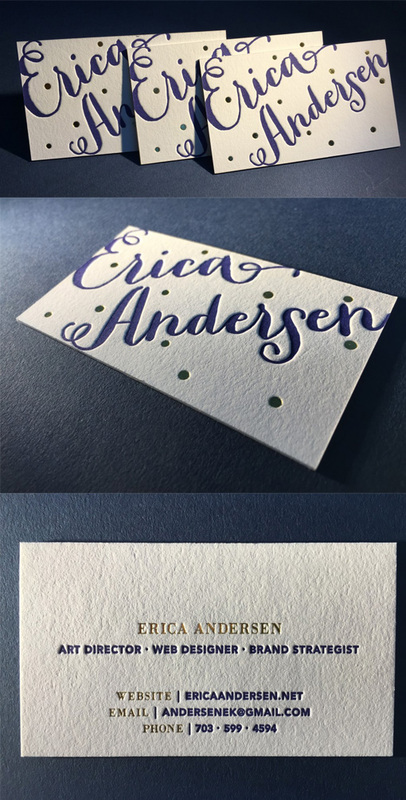 This card features striking calligraphic lettering for the front of the card printed in navy blue via the letterpress method onto a high quality cotton card stock. Gold highlights on the back, printed in hot stamped gold foil, add a touch of luxury to the cards and ultimately round off the design for a very professional finish.